UAC or User Account Control is a technology designed by Microsoft for security purposes. It has initially launched with Windows Vista and Windows Server 2008. Its purpose is to improve the security and reliability of Windows by preventing access control on applications. Windows 7 has its most secure user friendly version available in it. User Account Control simply applies limits on application’s privileges which can only by pass with the help of an administrator authorization. 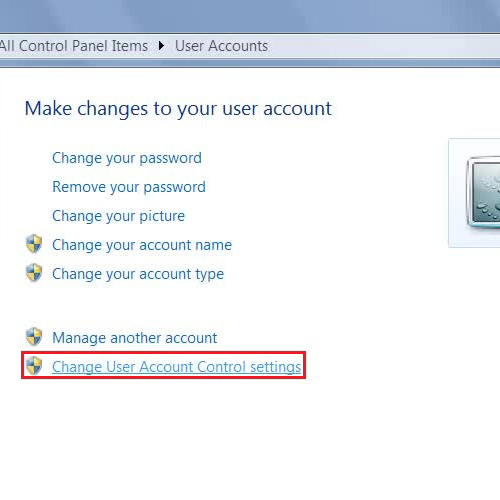 If you are a system administrator then you change or adjust User Account Control settings of your computer according to your requirements. This short tutorial will teach you some basic techniques to control or disable Windows user account control or Access Control in windows 7. In this tutorial, we will guide you on how to disable user access control in windows 7. First of all, go to the Start Menu, open up the Control Panel and click on the “User Accounts” option to open it. 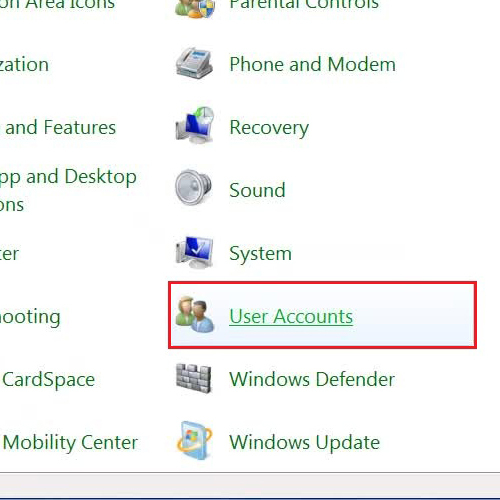 Once you have opened the “User Accounts Settings” option, you will be redirected to a new window with advanced options. Now click on the “Change User Account Control Settings” option to adjust its settings. 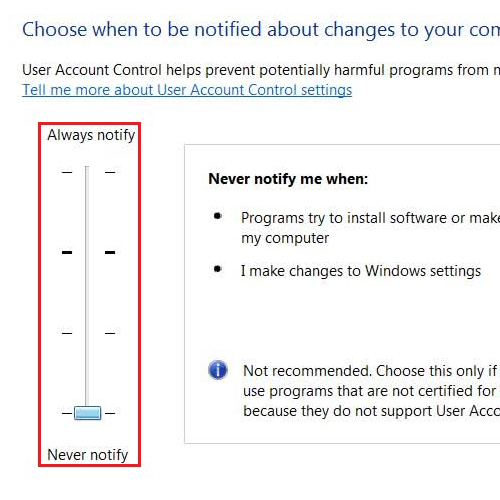 By going and altering these settings you can disable Windows user account control. Now in this window you will find a Slider option with four different levels of User Access Control. The top most level provides you the highest security, third level provides medium and the second level provides a low level access control to users. The bottom most level will completely disable the user access control from windows 7. Once you have adjusted it according to your preference, click on the “OK” button to save these changes and exit.